The Lord Mayor of Birmingham, Councillor Yvonne Mosquito, attended and spoke at the press launch. The Jewellery Quarter’s favourite Gin Bar 40 St Paul’s, known best for its impeccable gin. This quarterly publication from the Jewellery Quarter Business Improvement District (JQBID) covers events, news and. The countdown to Christmas will officially start when the Christmas lights are switched on in. To help celebrate Heritage Week, the Friends of Key Hill Cemetery and Warstone Lane Cemetery. The Hockley-based Vegan Society has moved into a larger Birmingham city centre office, demonstrating the. The second issue of the Jewellery Quarter Business Improvement District (JQ/BID) magazine is out. The. JQ/BID’s ‘JQ Life’ – Issue One is here! The brand-new Jewellery Quarter Business Improvement District (JQ/BID) magazine has landed! Formerly ‘Quarter Life’, the. The partners of Little Box Co – Shela Kainth and Lisa Hogan – chose to. JQBIDS 2018 Festival The Friends of Key Hill Cemetery & Warstone Lane Cemetery had two. The Jewellery Quarter (JQ) Festival is returning this month so come and Join in to. The Friends have been busy with Clean Up day in Key Hill Cemetery on Saturday. With pubs closing at a rate of 18 a week across the country and the. On Saturday 5th May at around 5,00 pm, some disrespectful person dumped a load of. Leafy Cannabis Plants have been found in one of the J.Q Cemeteries. Should the owner. The Leader of Birmingham City Council (BCC) has outlined his vision for the Jewellery Quarter. Extracts from The Mourning News Spring is on its way A lovely picture taken by. These graves were discovered by the ‘Friends’ in a badly sunken state near to the. The RBS and NatWest Banks announced just before Christmas that they are closing 259 branches. A new digital searchable database, containing around 1.5 million burial and cremation records, has been. Potter Andrew Matheson from Sutton Coldfield has long had the desire to make large vases..
Clean-up Day 15th October The weather was kind for the Friends’ volunteers on the Clean-up. Trees and Lighting At the Heritage Open Day on Sunday 10 September 2017 the Police. A very colourful and attractive booklet has been published by YBA Publications. Although only 20. 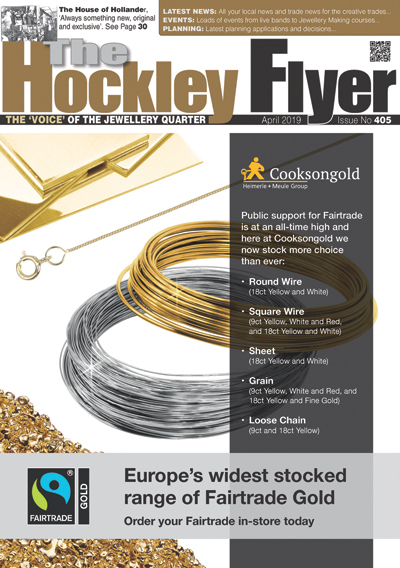 The Hockley Flyer has a new website which features a similar design but uses an. The New Standard Works, Vittoria Street – Hive Cafe and Bakery Opens! The Ruskin Mill Trust’s refurbishment of the ‘New’ Standard Works began with the completion and.